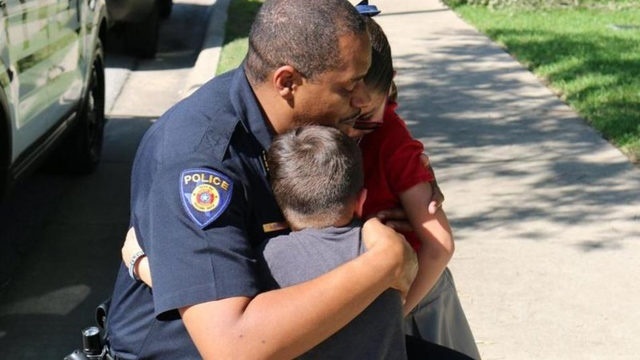 Round Rock, TX, police Chief Allen Banks returned a young girl’s kind gesture last week with a hug and gifts during a visit to her home. 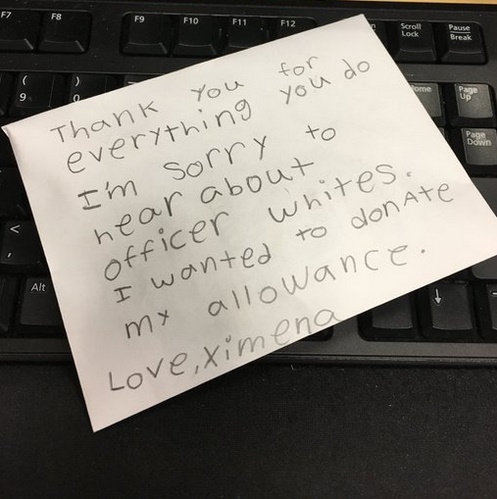 Ximena, 7, left an envelope under the front door at police headquarters following the funeral of Officer Charles Whites on Wednesday. Inside were a hand-written letter and four $1 bills. While the envelope did not include a return address, Banks was able to find Ximena’s home address and decided to stop by for a quick visit. He brought along a few gifts, including the chief’s CHIP Challenge coin, WSOC TV reports. Officer Whites died in late April from injuries he suffered in February when he was struck by a vehicle while helping a disabled motorist.